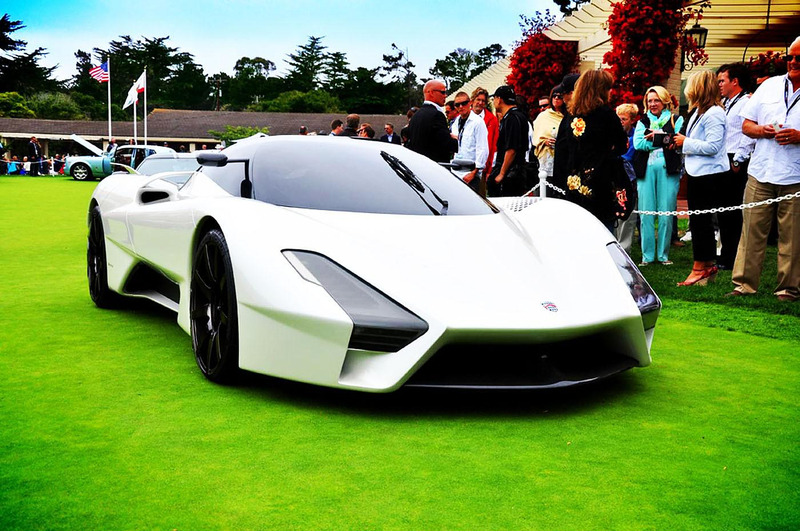 HomeBlogTechnologySSC Tuatara aims to be the world’s fastest car. 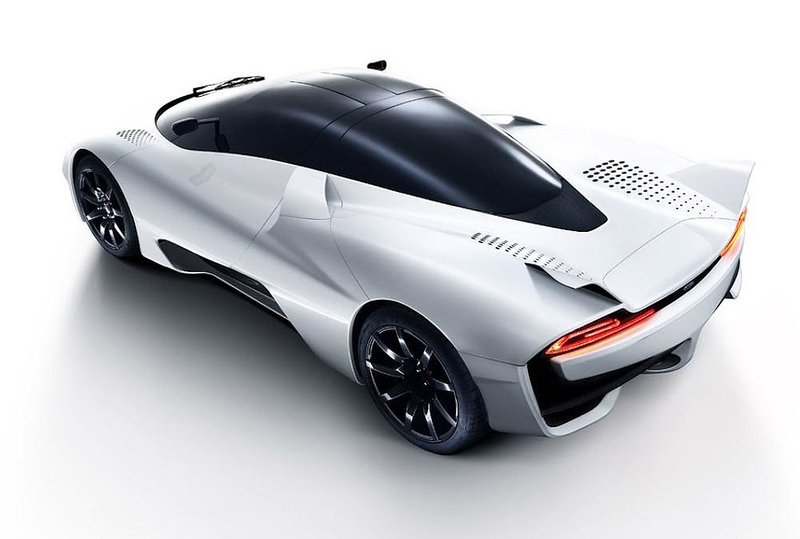 Shelby Supercars unveiled its upcoming record breaking supercar, the futuristic looking SSC Tuatara aims to take the title of the fastest production car in the world. 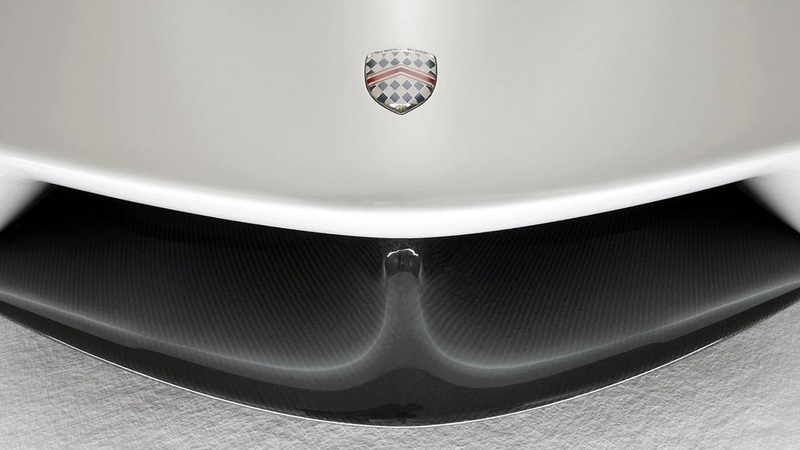 A title currently held by the Bugatti Veyron Super Sport. 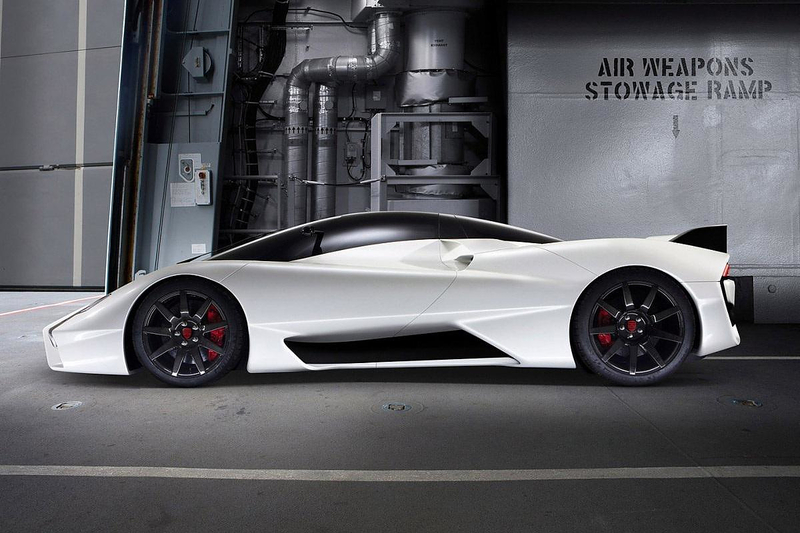 This impressive automobile is powered by a 7.0 liter DOHC twin turbocharged V8 which delivers approximately 1,350bhp! 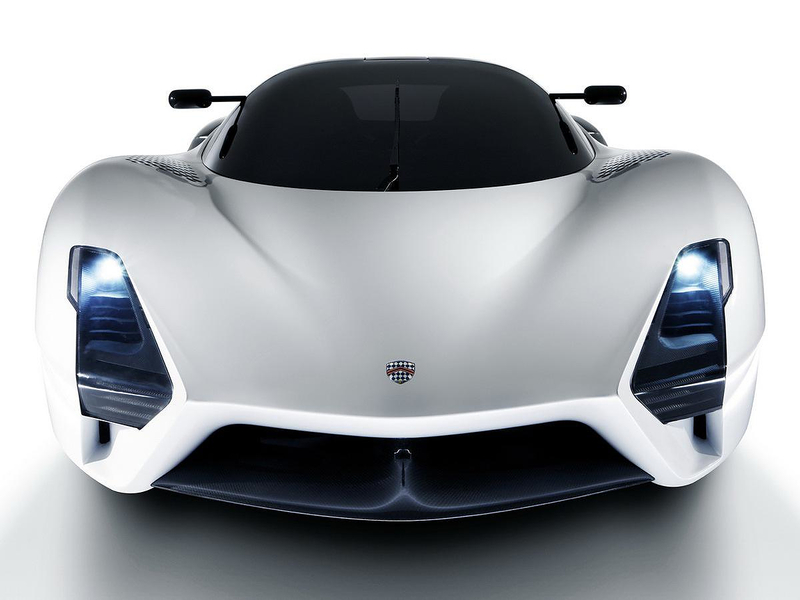 Through the extensive use of carbon fiber and other exotic materials the SSC Tuatara achieves an impressively low weight for a supercar with such monstrous displacement. 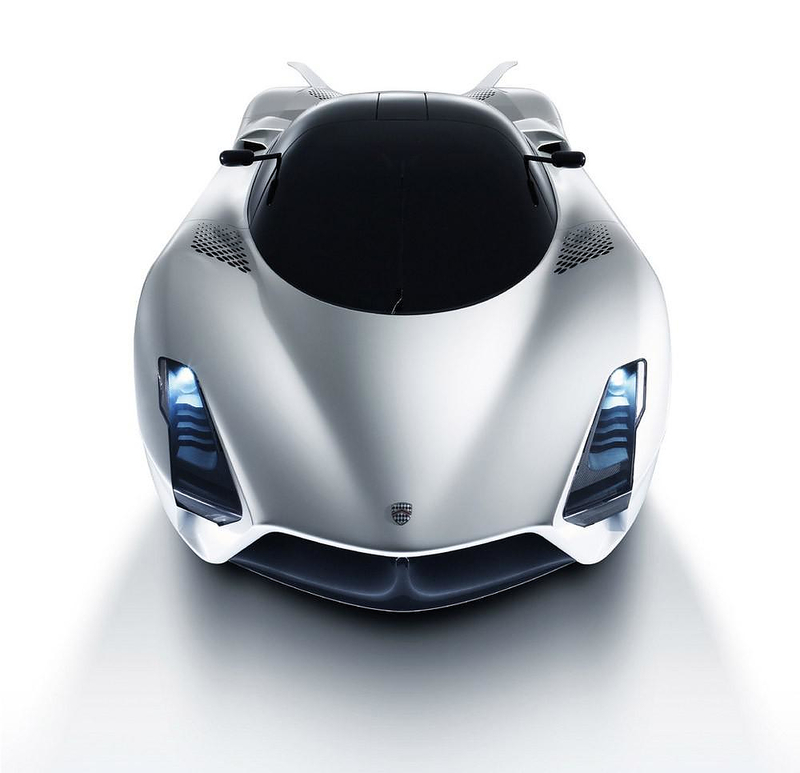 Although not 100% proven, it is rumored that that its dry weight will be under 1180kg. If that claim stands the power-to-weight ratio exceeds 1bhp per kilo, even with the car filled with gasoline and all other fluids. 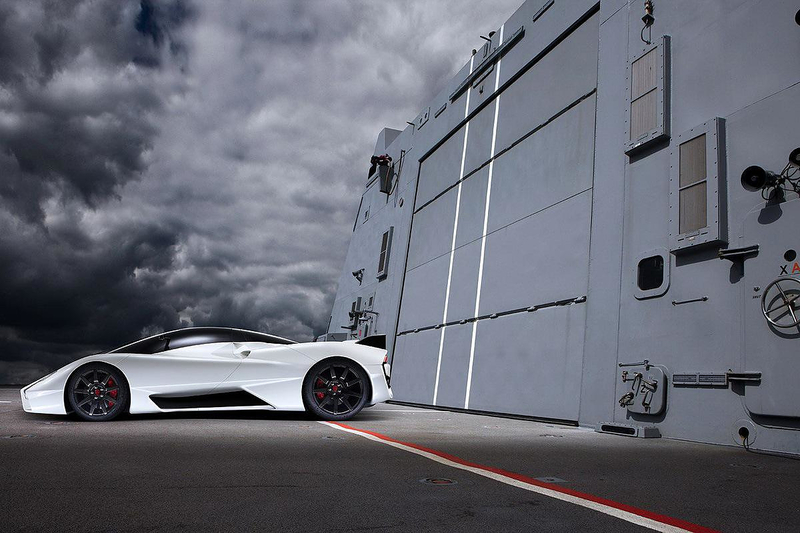 A hugely impressive feat that sets the SSC Tuatara in a class of its own. 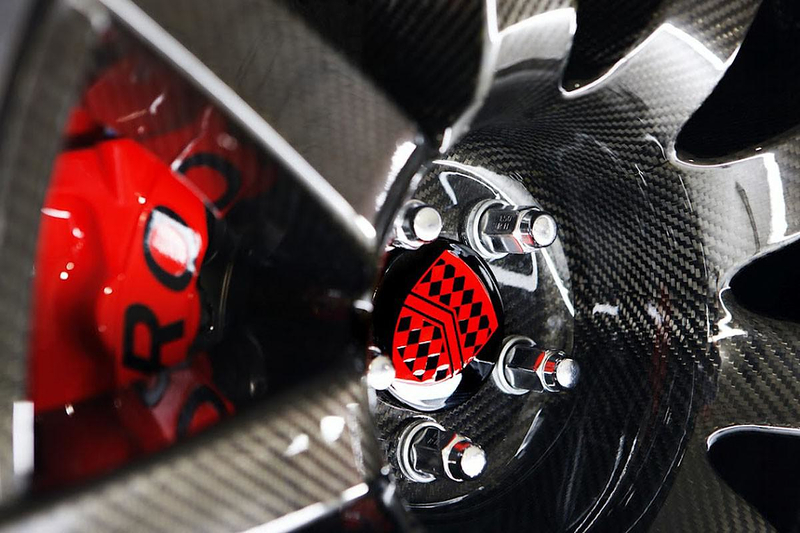 Interestingly even its wheels are made of carbon fiber and weigh less than 6kg. 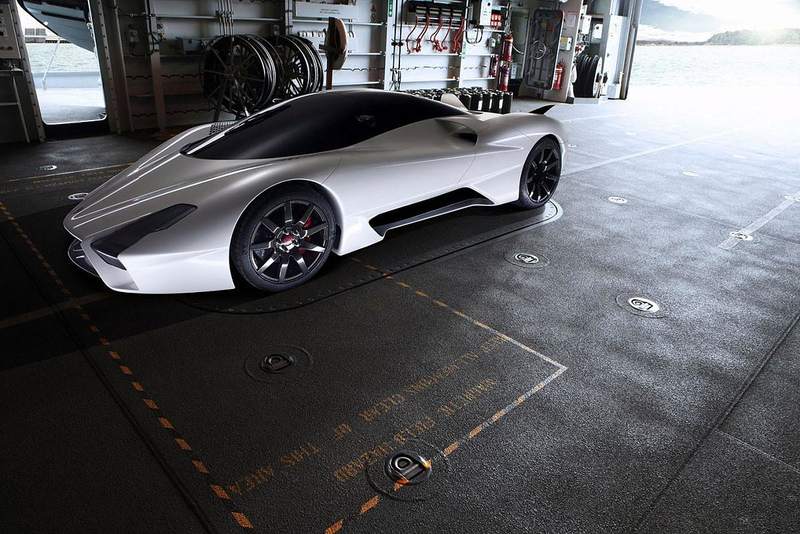 The SSC Tuatara is expected to achieve 0-100km/h in under 2,8 seconds and its top speed will exceed 440km/h. 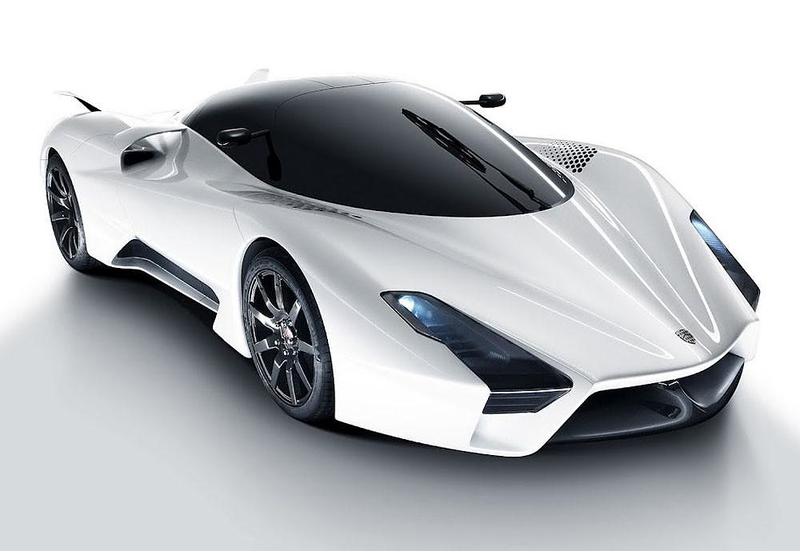 As you might have noticed the looks of the Tuatara is radically different from the traditional “muscle-car” look of American supercars and is elegant enough to compete with Italian and other European exotics. 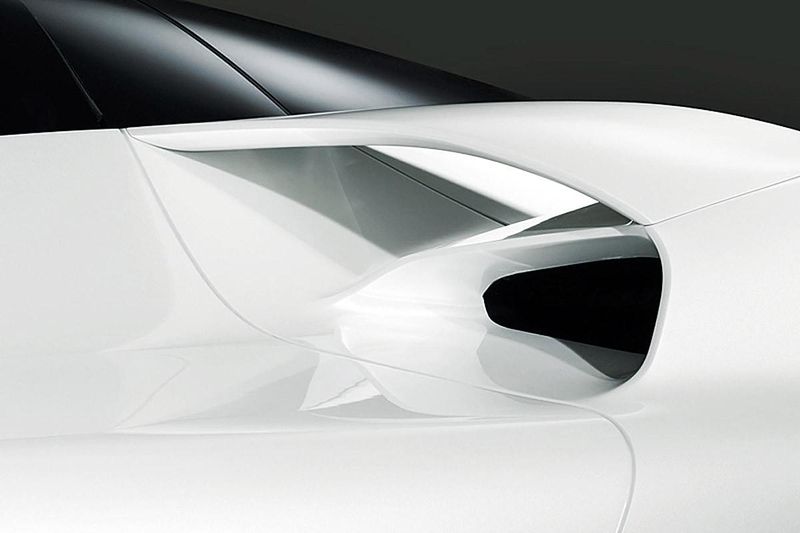 This is not a coincidence as it was designed by Jason Castriota, the design director at Saab Automobile. 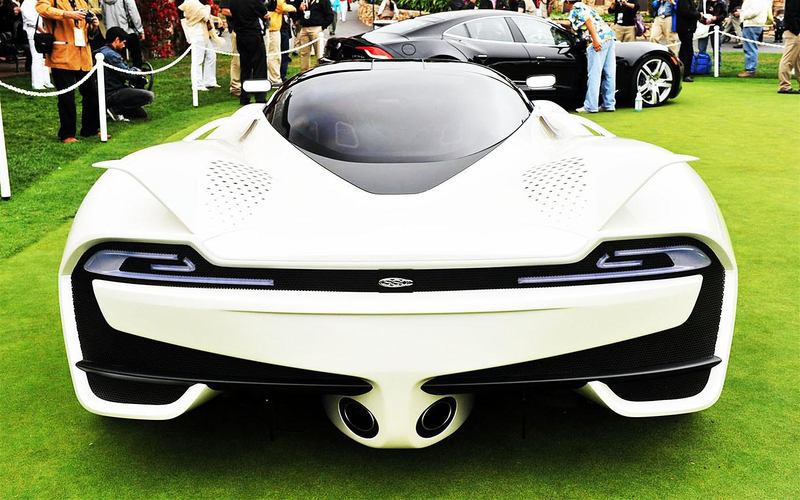 Castriota has collaborated extensively in the past with legendary automobile design studios such as Pinifarina and Bertone. 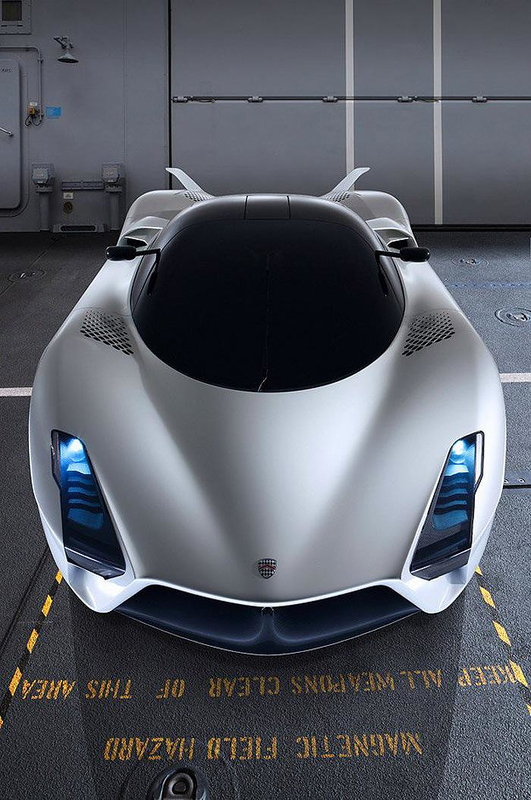 His résumé includes participation in the design process of cars such as the Bertone Mantide, Ferrari P4/5 by Pininfarina, Rolls Royce Hyperion, Ferrari 599 GTB Fiorano and the Maserati GranTurismo. The name Tuatara (pronounced Twu-tar-ah) was inspired by a lizard that lives down in New Zealand. 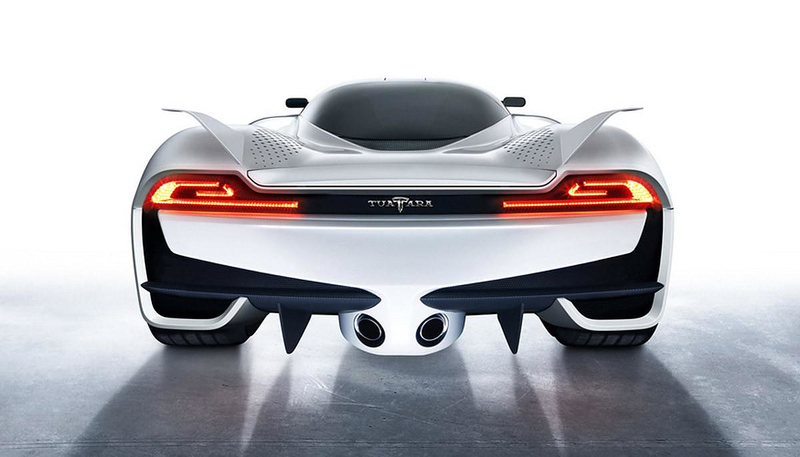 The reptile’s name translated from the Maori language means “peaks on the back”, which is quite fitting, given the winglets on the back of the new car. 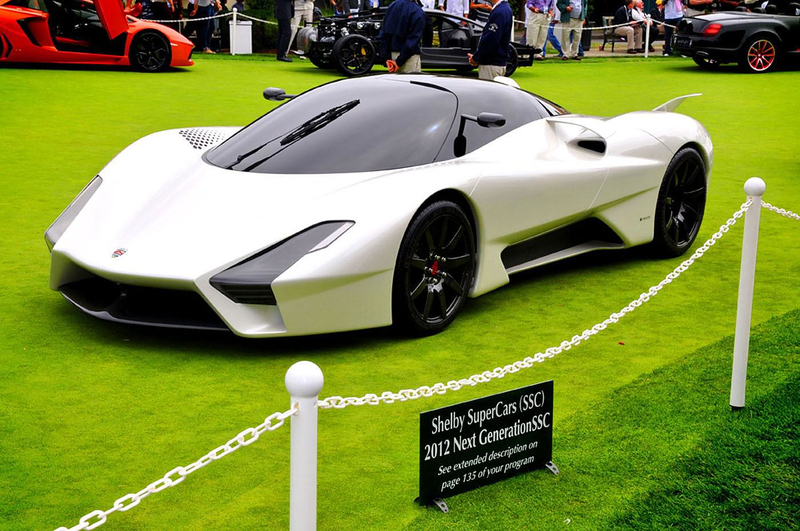 The Tuatara lizard possesses the fastest evolving DNA on the planet, a fact which inspired Jerod Shelby. 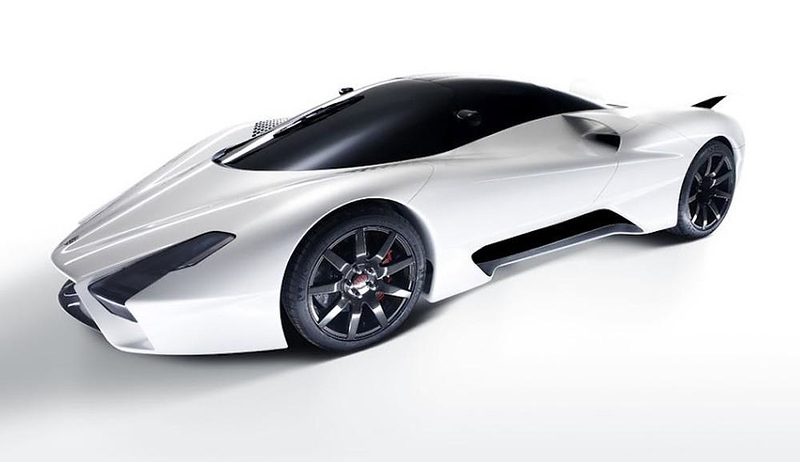 The interior of the SSC Tuatara speaks the same futuristic design language as the exterior. 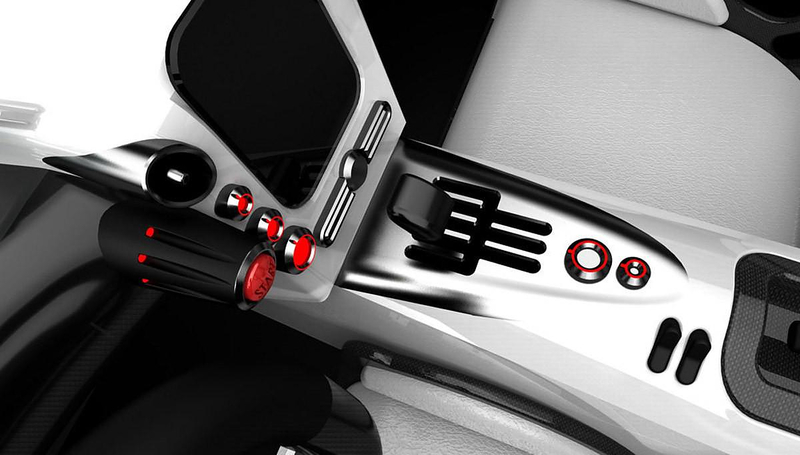 The designers worked to integrate many of the vehicle’s exterior elements into the futuristic cockpit. 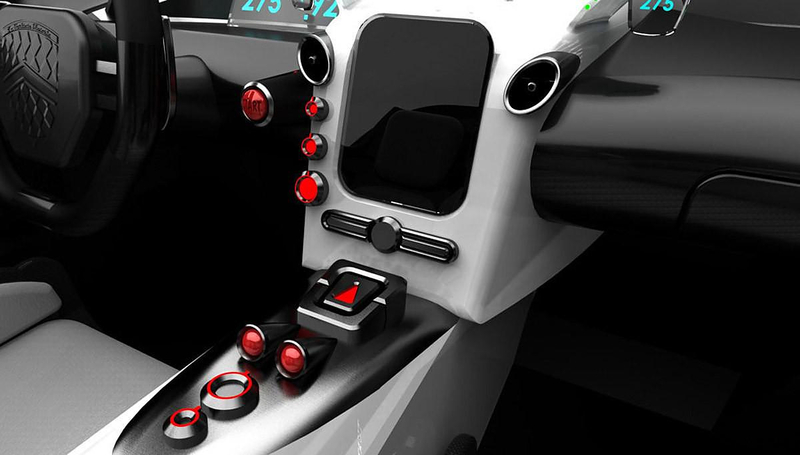 The driver has access to a glass gauge cluster that relies on Pico projectors to display all essential information, such as speed and engine rpm. 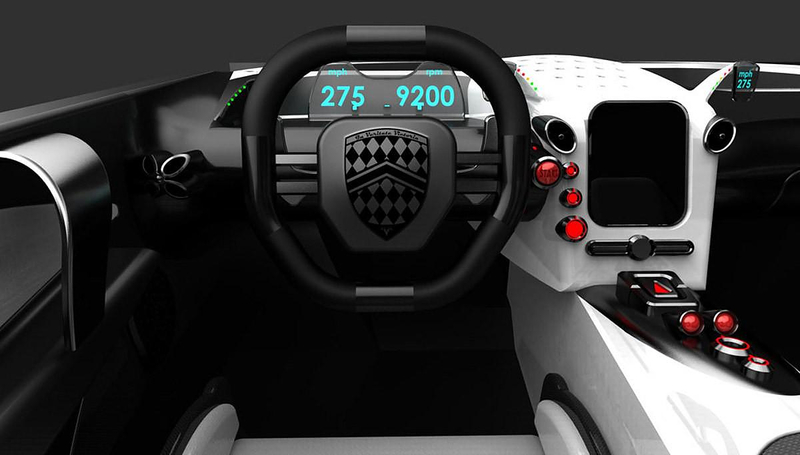 In addition the selected gear and optimal gear change points for both the 7-Speed H-Pattern manual gear shift, as well as the steering column mounted 7-Speed paddle shift (available as an option on the Tuatara), are also displayed .The technology employed is similar to the heads up display used on cars like the Chevrolet Corvette. Interestingly two small auxiliary screens are dedicated to the passenger, with the goal of providing a co-pilot-like experience. 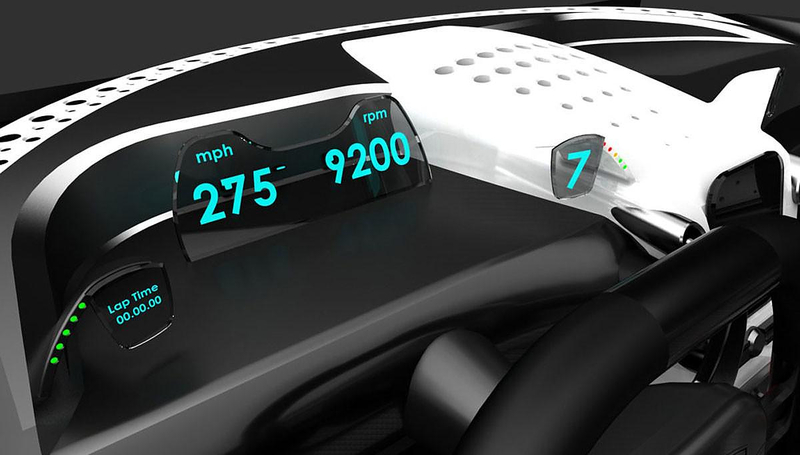 These additional screens display a variety of information, including current speed, engine speed and horsepower generated at any given time.The center tunnel is dominated by a large touch screen, combined with additional circular controls and buttons. The main touch screen takes care of most comfort and entertainment settings, while the buttons are used for more critical systems like traction control and selecting driving modes. 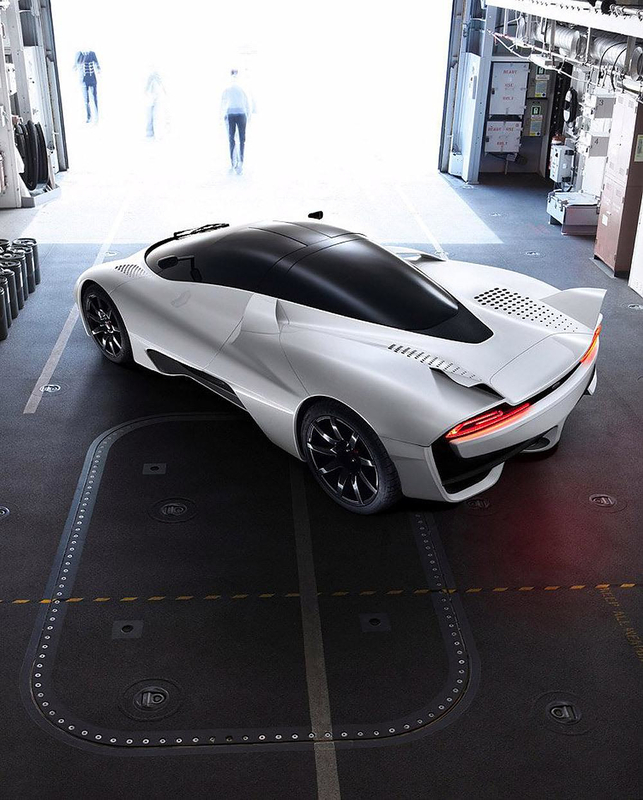 The SSC Tuatara is a true hypercar equipped with insane amounts of horsepower, exotic looks and record breaking performance figures. However this is not a barebones racecar but rather a street legal vehicle with airbags, headlamps, air conditioning, an awesome audio system and all that practical stuff that we consider as standard for a modern luxury car. 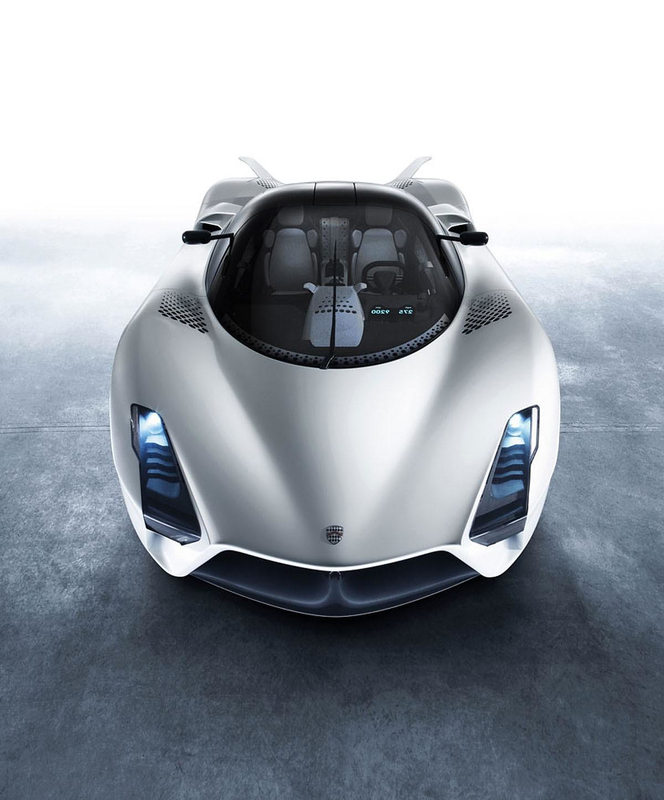 It is expected to be available within 2012 with an indicative price slightly below one million dollars, as the last quoted figure was 970.000$.